This route is known popularly as the “Whiskey” route. The route starts at Machame Gate and takes 6 days. 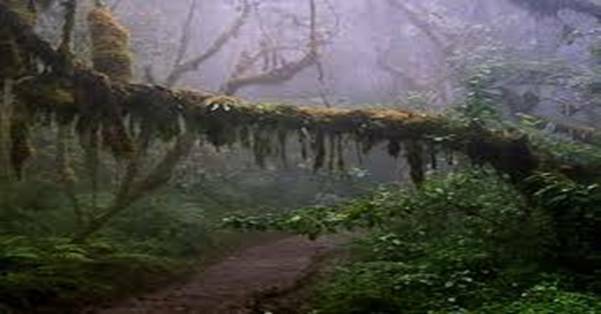 Its location is in the southern side of the of the mountain and has features of green and abundant rainforest. Here, you will be guided to climb to the Shira Plateau, then traverse the mountain beneath Kilimanjaro’s Southern Icefield, before summiting from Barafu Hut. Machame route is ideal for people who want to enjoy a scenic hike yet on a challenging route in the shortest time. Day 4: Shira to Barranco Camp. Day 5: Barranco to Barafu Camp. Day 6: Barafu summit to Mweka Camp. Ascent is best accomplished by torchlight around midnight in order to be up on the Crater rim by sunrise. The steep climb over loose volcanic scree has some graded zigzags and a slow but steady pace that leads to Stella point (5735m.) – about 5-6 hours. Rest there for a short time to enjoy the sunrise over Mawenzi. Another 2 hours here along the Crater rim leads you to Uhuru Peak (5895m. ), The spectacular glaciers and ice cliffs that occupy most of the summit area cannot go unnoticed, its simply amazing!. Descending to Barafu campsite is fast, enjoy lunch and refreshments here and continue descending after lunch to reach the final campsite for the day – Barafu (3100m. (11-14 hours walking). Start another day of descending on a well maintained trail through lovely tropical forest, enjoy the birdcalls and lush undergrowth with considerable botanical interest. The route winds to the National Park Gate at Mweka (1650m.) (4-5 hours walking). From Mweka Gate you will be met and transferred to Arusha for dinner and overnight (at the Jacaranda Hotel). Day 8: Arusha to Kilimanjaro International Airport (JRO), transfer is arranged.